Thulium is one of the rarest metals of the periodic table (is in fact one of the lanthanides family), it has chemical symbol Tm and atomic number 69. 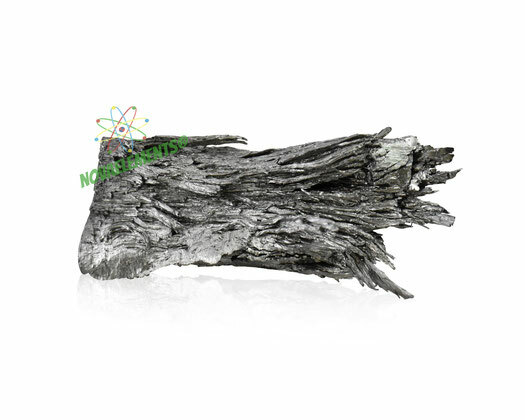 Thulium metal is a silvery-grey solid at normal pressure and temperature, unfortunately there are not uses of this metal. 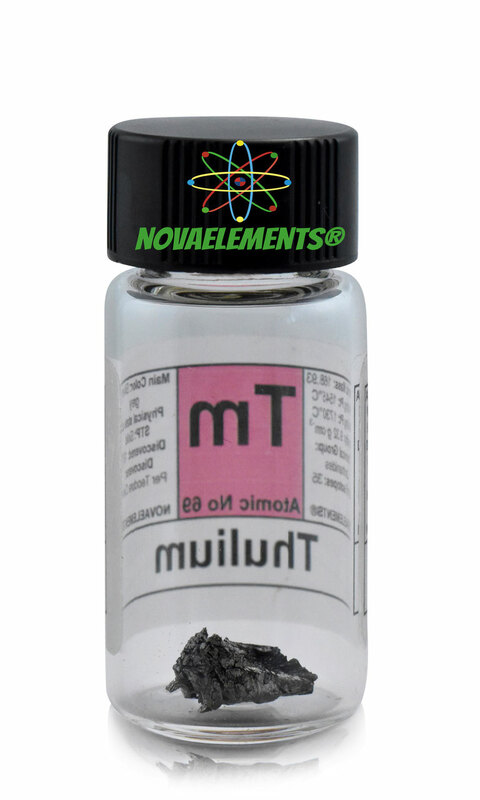 High purity 99,99% Thulium metal element 69 sample shiny piece of 1 gram in beautiful glass vial with colored label. 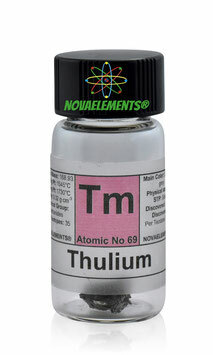 Pure thulium element 69 sample. High purity 99,99% Thulium metal element 69 sample shiny dendritic pieces 10 grams. Buy Thulium metal dendritic pieces.